The definition of a “Hero” is different for everyone. How do your students define one? That’s the question behind this lesson plan that integrates engineering and history. Third grade teacher Amy Cramer designed this for our Cross-Curricular Lesson Planning Contest and came in second place. “Cross-curricular lessons afford me the opportunity to create a seamless curriculum where students see that in the real world, math, science, language arts, and other subjects blend together without boundaries,” she said. During this lesson, students read the topic The Monuments of our Capital as a class before discussing what traits make a hero. Then they’ll conduct personal research on heroes they admire, and read topics like Heroes and Helpers of the underground railroad and Civil War Notables. 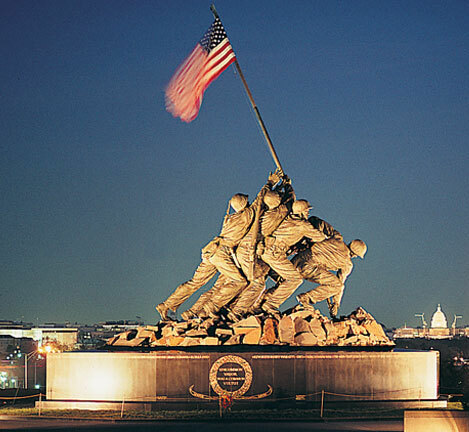 Finally, they’ll design and engineer their own monuments to the icons of their choice. Teachers will love that this lesson plan covers standards across disciplines, and kids will love coming away with their own tangible monument that holds powerful meaning to them. 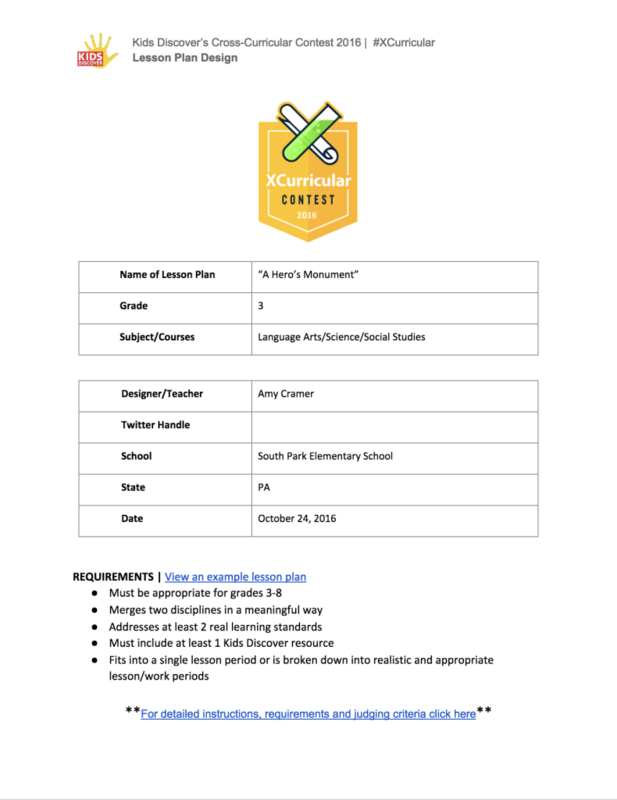 Use Amy’s lesson plan in your own classroom with this sharable Google Doc, or by clicking on the plan below. Thanks, Amy! You can access and share Amy’s winning lesson plan by clicking here!